I just found what I want for Mother’s Day! 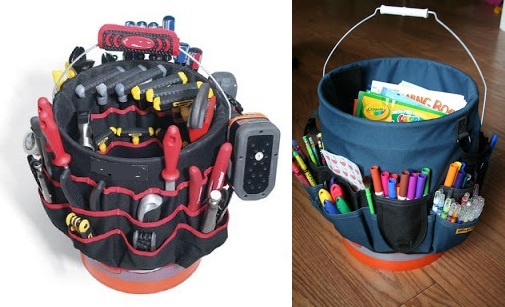 I love the use of this bucket jockey (something you can find at most hardware stores) All your art supplies can be right there easy to pick up and take with you. I saw this idea on Pinterest. I found the organizer from $7.00 to $20.00 and a bucket is around $5.00. You could make one but the store-bought ones are so reasonable that the cost of material and time would out way the store-bought one. 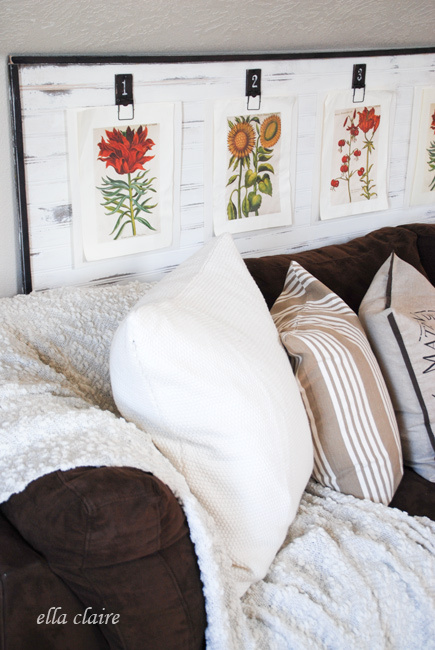 And you could always paint it with craft paints to make it your own. 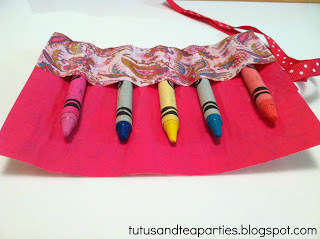 I found a few simple sewing ideas I would like to share today. 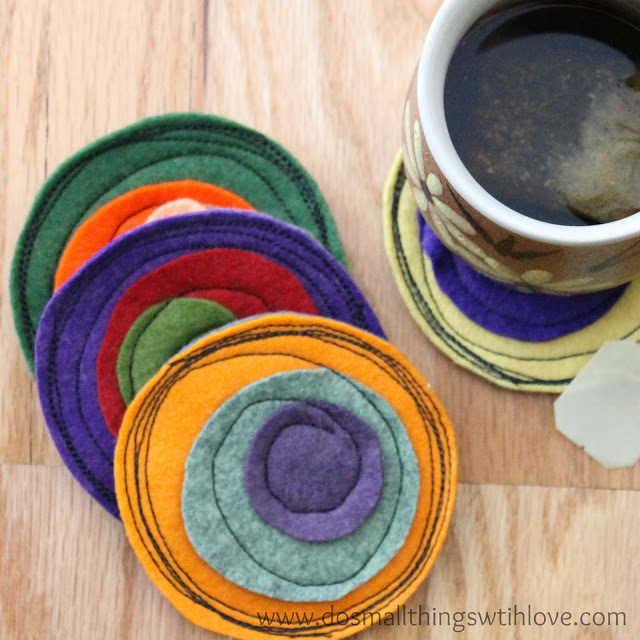 The first one is from Do Small Things With Love I love the circles and as you know I like felt. Could it get any better? 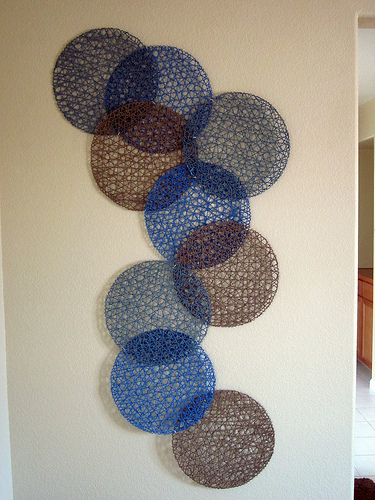 This is a great use of a fabric scrap from Cups of Threads. You could even use a piece of mat board for a little sturdier frame in place of the manila folder. Sometimes if you talk to a picture framer they will give you small pieces mat or sell them cheap. It just hit 68 degrees today, summer is on its way and these little tops from Tada Creations are very cute. She gives good directions. Would not tackle this if you are a first time sewer, but if you have a couple of garments under your belt and know how to handle your sewing machine it is a pretty simple project. 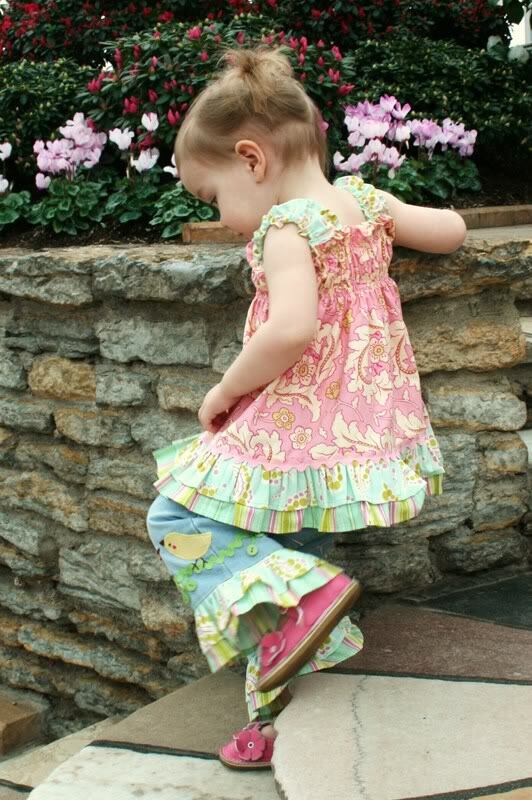 I like the selection of fabrics she used and don’t you just love the matching ruffle on the pants. This picture I found at Dishfunctional Design gave me a good laugh. 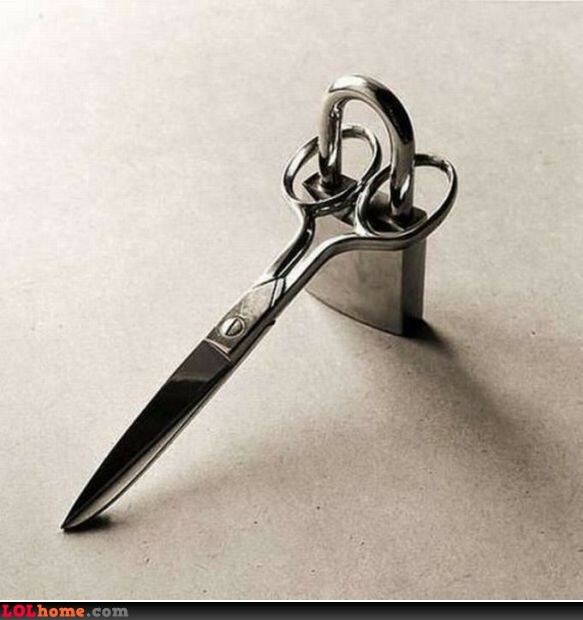 My Mom made it very clear that her sewing scissors where not to be used by anyone else and if she had seen this picture I am sure she would have put padlocks on all of them. This would be a safe thing to do if you have little ones around. 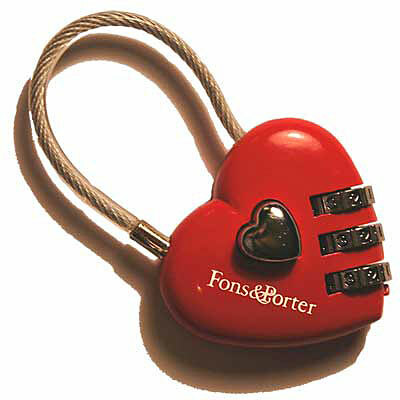 And wouldn’t you know it, Fons and Porter have a pretty heart lock made for scissors. I have a wall 12 feet high by about 12 feet wide and I don’t know what to do with it. I want to change the look of my living room up a bit. Give it a bit of a modern twist. Husband has put his foot down on wall paper or painting the wall. (think large mural) So here are a few ideas I have collected that won’t break the bank and look great. This first one is by Design Build Love, a simple idea with a great look. 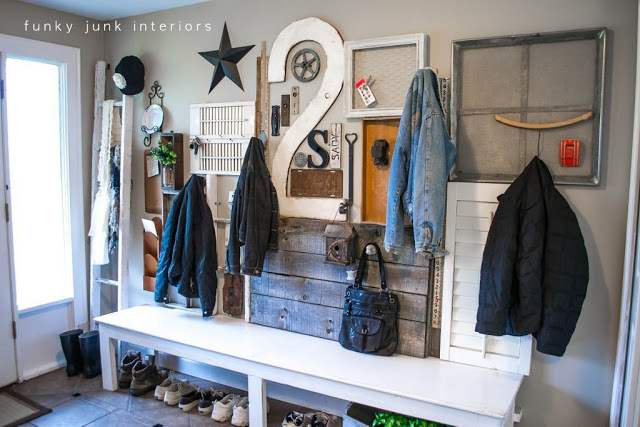 How about function and design from Funky Junk Interior. Check out the upside down hanger for a hook. 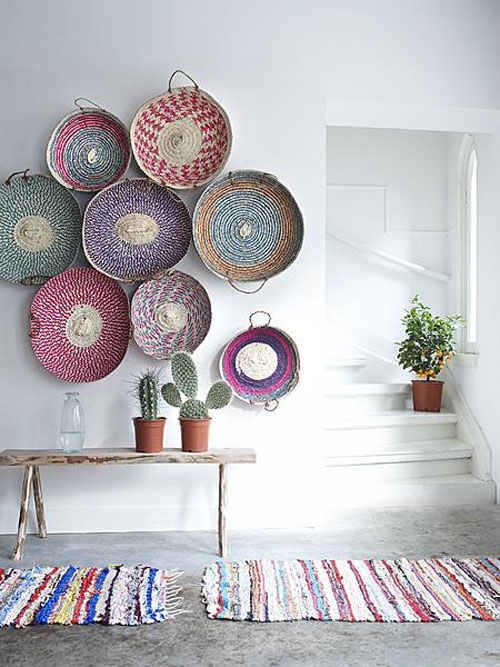 I love the color of these baskets. This idea is from The Style Files. Ella Claire Inspired used a piece of bead board, trimmed it with wood and added mouse traps. Now she can add and change the art work as she pleases. Where would the world be without duct tape? I have seen cars held together with it, heard of an airplane that crashed in Alaska that they dropped duct tape to and the pilot was able to repair the plane and fly out. 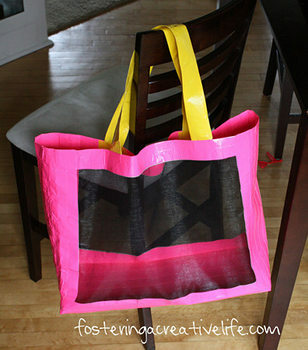 (not sure that is a fact) Over at The Thrifty Couple they have put together 25 wonderful crafting ideas with duct tape. 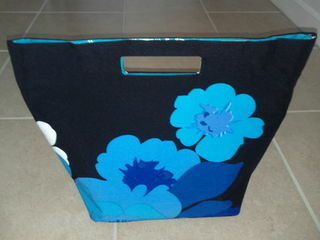 I like the mesh beach tote bag and the tote bag with flowers. Do you know that duct tape comes in 8 1/2 x 11 inch sheets for us crafty people? The first quilt I ever made was a fan quilt. This was before the internet was in everyone’s home and it may have not followed true quilting methods, but it was a warm quilt and I used it for a very long time. 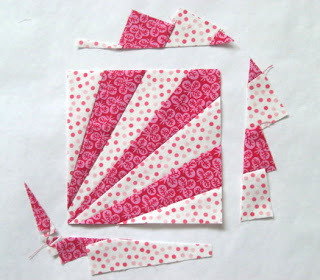 Today I found a fun and easy method for making a fan square from Karen Griska Quilts. It is fun to take these squares and turn them and/or add a solid square or turn on point and see what type of quilt design you can make.